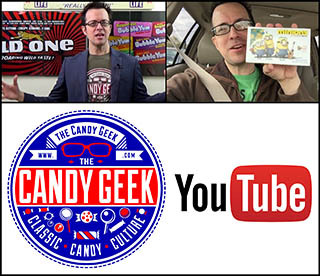 ← Willy Wonka’s Squids – A Forgotten 80’s Gummy! This one appears to have been similar to Big League Chew and the many shredded gum imitators that followed in the 1980’s here in the States. Too bad this one was never released here in the USA – it would have been neat to see. And that’s everything for today’s post. See you next time! This entry was posted in 1980's, British, Bubble Gum, Gum and tagged 1980's, 1980's gum, 80's, 80's gum, Big League Chew, British, bubblegum, candy collecting, candy collection, candy collector, candy wrapper collection, candy wrapper collector, Cannell, collectible, collecting candy, confectionery, confections, licensed, packaging, sweets, UK, vintage candy wrapper, wrapper. Bookmark the permalink. 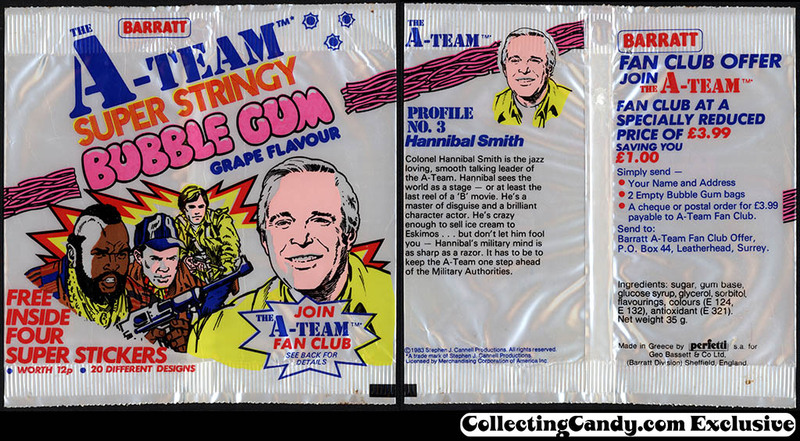 1 Response to A Fun One For Friday – Barratt’s A-Team Bubblegum from the UK! They were going to release it in the states but they couldn’t get Mr. T on the plane to bring it back – even after Murdock and Face laced his Mr T cereal with Ambien.